Several of our executives heard a strong customer emphasis on interoperability and integration. Hospitals want technologies to integrate and connect. They want data from systems to be able to be shared in a meaningful way. Customers were fascinated with how the Vocera Platform’s integration engine can send patient-specific information from medical devices, and the way the platform allows customers to create rules for how information is delivered. 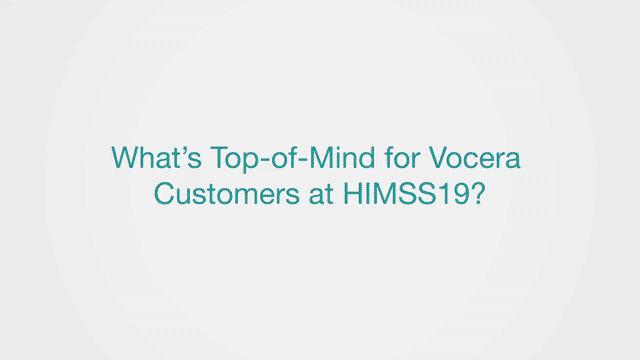 In the video above, taken from the event floor, members of our executive team share what they heard from customers on these themes and others such as telehealth, cloud, and the emergence of major technology companies in the Healthcare IT space. And, of course, improving communication and clinical workflows.